blurg.net | The Rants and Raves of a ex-pat Nerd..
With the recent and sudden demise of gallery.live.com, the Microsoft site that hosted the various sidebar gadgets I had written, it has not been possible to download these excellent additions for your Windows Vista and Windows 7 machines. Of course, if you wish to know more, please click on the Gadget link of the blog for more details. Myki is Melbourne’s new public transport ticketing system. It’s been in the news a fair bit due to the problems it’s been having. I bought a myki two weeks ago and have been using it in anger ever since. It should be much much simpler to use, and it would be, if it worked all the time. Of the four times a day I have to touch the myki card on a reader, twice in the morning and twice in the evening. One of those touch’s will fail or take a long long time to scan. Pretty unacceptable, but also damn annoying for those people in the queue behind me whilst they wait for the card to work. So, I figured it would be good to warn them why you are stooped over at the ticket barrier swearing, so I have designed a t-shirt. It has the same message printed on both side and lets your fellow commuters know why you are holding them up, and why you are muttering swear words to yourself. 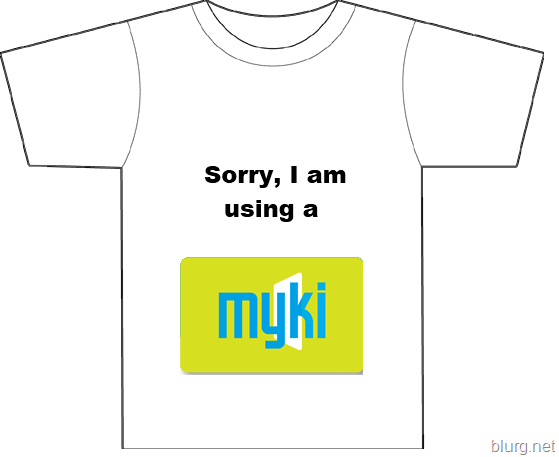 Tags: myki, Rant, sorry, why? I was going to write a post about what I have achieved this year, and to be honest there has been a heap. But, it occurred to me whilst I was writing the post that it was also the end of a decade, a pretty big one for me as it goes. In 2001 I met Rachel, since then we have never really been apart. 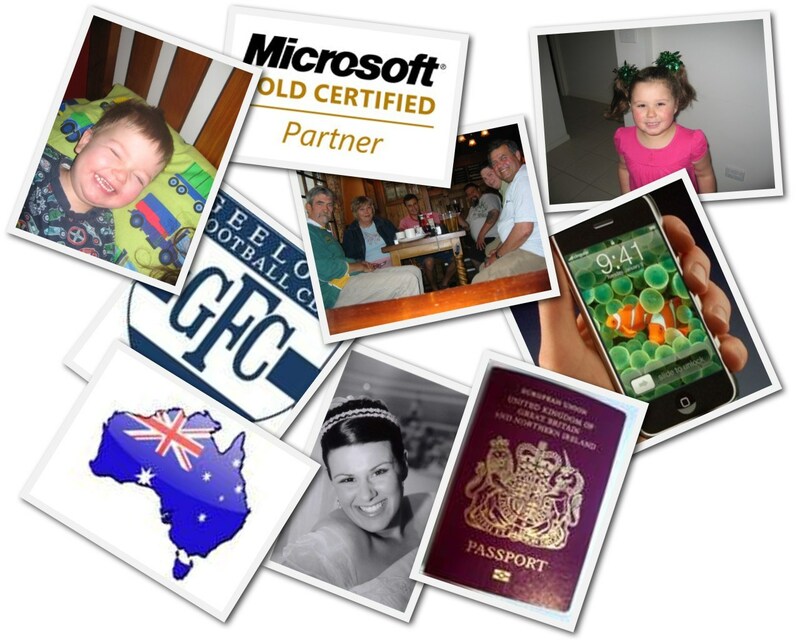 We have been through a heap together, building a house, starting a family and bringing up two fantastic children. She is my best friend and I love every moment we are together. 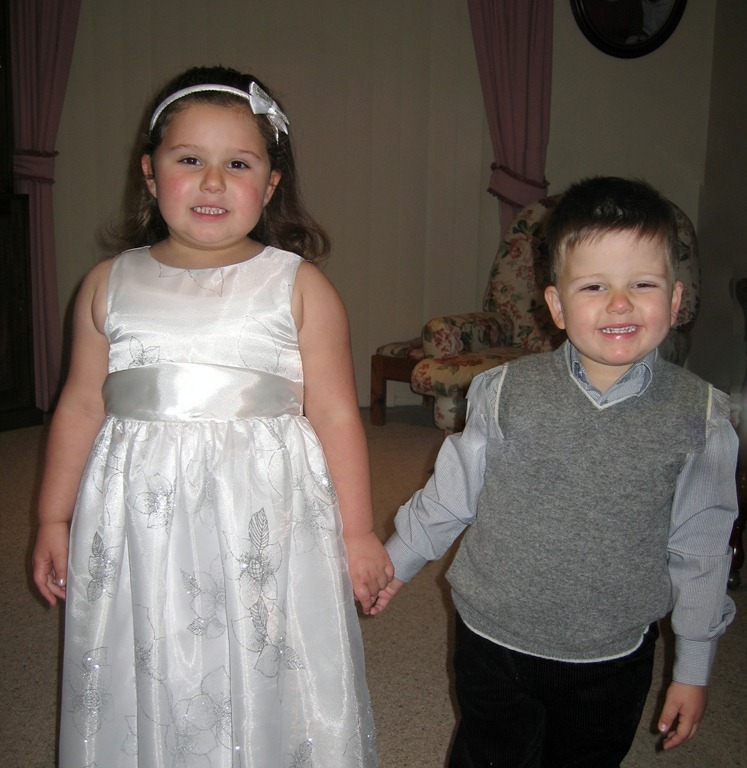 In March 2006, my daughter Abbie came into the world and changed everything. She is awesome. Perfect in every way. I am loving watching her grow up, explore the world around her and learn. I love her inquisitive mind, her pure logic and banter. Even though I live in Australia, I am in full contact with my family in the UK thanks to Skype and cheap telephone calls. I have been really lucky that Rachel’s family have taken me under their wing and treat me like a son. Unfortunately since being out in Australia a few people have passed on and I was unable to attend their funerals, Grandad Bob, Nan and my cousin Janet. At the moment I have switched back into a consultancy role, specialising in Microsoft Enterprise Project Management (EPM) solutions. It may sound strange, but it’s the ideal mix between my love of all things techy and Project Management (which I am actually quite good if I do say so myself). There have been a number of nerdy milestones in the past ten years. For what started out with me minus any gadgets whatsoever whilst backpacking, has seen me morph into a gadget collecting superfreak. Of course during this period I have had many different computers and run a stack of different software which I am not going to list as it would be way to sad. When I first got to Australia I worked on a sheep farm outside of Geelong, hence when it came to picking a team, they were my first choice. When I was in the UK, sport never really bothered me, but it’s part of the Australian psyche, and if your in Melbourne, you might as well be a leper if you can’t hold your own in talking footy. Since 2000, I have watched them lose and then win, finishing up with three grand final appearances in the past three years and two wins, the final being an epic battle against my wife’ family team of St Kilda. Way to go Cats! and most importantly, the first time I have ever presented to a user group. What I thought was going to be daunting, was actually quite exhilarating. I loved it. The presentation was very light on slides and heavy on showing off some of the awesome features of Project and Project Server 2010. Unfortunately the demo gods were against me, and one part of the demo died, but the rest behaved itself. Anyway, why am I sharing this with you? Well I have been light on the blog posts here and have been spending my time absorbing all things Project 2010, getting my hands dirty on some big PS projects and starting a new blog where I can share my findings and thoughts with the community called EPMSOURCE.COM. I will be posting on all things Microsoft EPM over at EPMSOURCE regularly, you can subscribe at http://epmpire.wordpress.com/feed/ or alternatively, go to www.epmsource.com and enter your email address to get the posts directly in your inbox. Updated 12/1 – blog changed to http://www.epmsource.com, please update your bookmarks. For the past few months I have been using Sun’s VirtualBox as my preferred VM software. With the shift to x64 computing that is in full flow, the latest operating systems and servers such as SharePoint and Project Server are moving over toe x64 only. Unfortunately Microsoft has made the choice to only offer support for x64 virtual machines via Hyper-V on their server platforms and doesn’t currently offer any consumer product that will run x64 guests. After a quick Bing, I stumbled upon someone suggesting mounting the VHD in Windows 7 which may fix the problem. Low and behold it did. 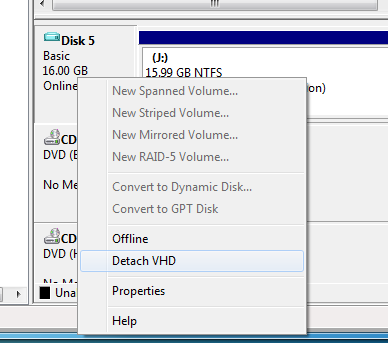 So in an effort to give something back, here are the steps to ‘fix’ the vhd in Windows 7. 1. 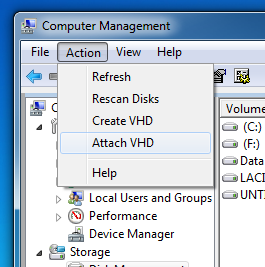 In Computer Management, Choose Action and Attach VHD. 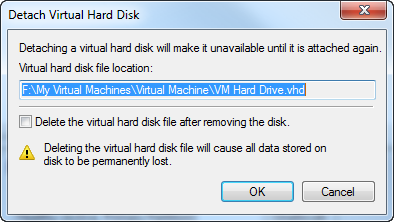 Click Ok in the Detach Virtual Hard Drive dialog, do NOT choose the ‘Delete the virtual hard disk file after removing the disk’ option. 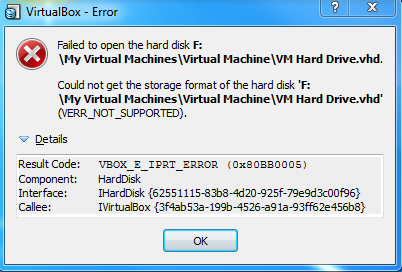 The VHD should now be fixed and ready to use in VirtualBox once again. Last week at TechEd there were a few people going around with some strange monsters with massive hands attached to their passes. On further investigation I found out these were called Poken and probably one of the coolest things I have seen in a long while. So what is a Poken? Well it’s an RFID device with a USB interface that when you touch another Poken or ‘High four’ there is an exchange of RFID Id’s. Now why is that cool? Well when you insert your Poken into a computer USB slot, you are taken to a website where you can configure your contact details and more importantly, your social networking details. So when you High Four someone else, you automatically exchange contact details, but also add them to whatever social network sites you have configured. Tres cool. Now I just have to hope more people get on the Poken craze so I can use mine a bit more! In the future it would be great for conference organisers to consider giving out something like this as part of the freebies, so you can exchange contact details with fellow delegates instead of it being exhibitors grabbing delegates details.